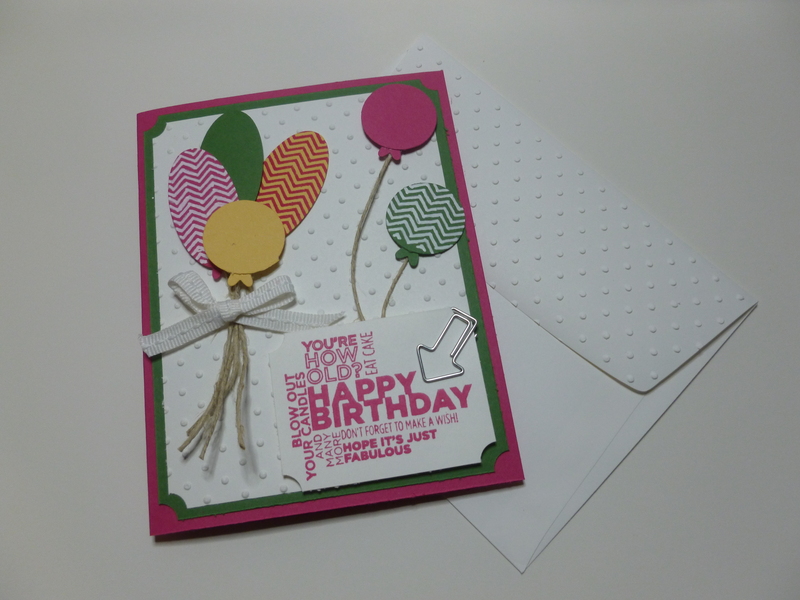 This entry was posted in BB Challenge, Femine, Happy Birthday, Masculine, Punch Art, Techniques, Videos and tagged Balloon Card, balloon card video, dawnscreations2, delightful dozen stamp set, garden green, handmade card, Happy Birthday Card, happy birthday card video, melon mambo, oh hello stamp set, paper art, paper crafting, punch art, punches, so saffron, stampin up products, Stamping, Stamps, video tutorial card by dawnscreations2. Bookmark the permalink. Cute video with your little guy.. Enjoyed the card too! Thanks so much for saying so. My little guy loves to stamp, color and punch things and gets as excited as I do when the UPS truck arrives with new product. I hope that we inspired you and that you have wonderful day! Thanks Bernadine for your comment. I have made some changes to my blog with more coming. My blog has been and probably will continue to be a work in progress as things come out and I find better ways to post information. I hope that you visit again and that you have a wonderful day!